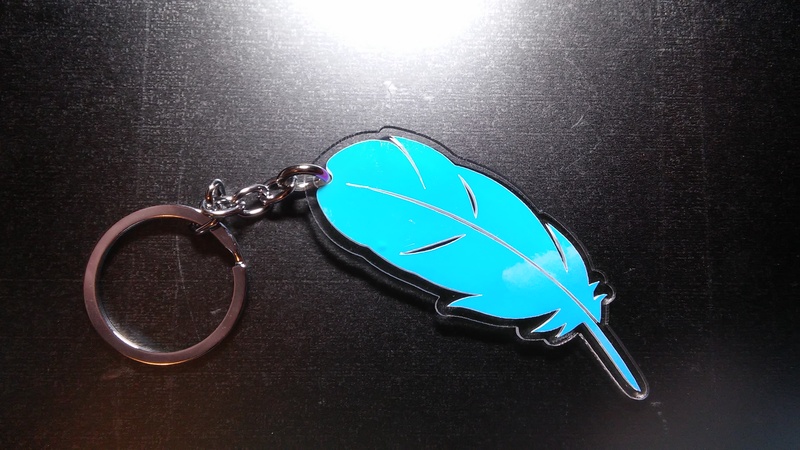 Home > Keychains and Ornaments > Acrylic Feather Keychain - Choose your colors! 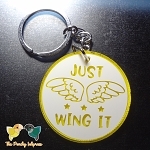 Take your love of birds with you wherever you go! This keychain is approximately 1.5 x 3.25 inches, not including the metal findings. Please note that the sealing process takes about a week to cure completely, so if you're wanting to order for a special day or event, be sure to order earlier so that the item arrives in time. There are 57 Regular, 3 Metallic, 3 Holographic, and 10 Transparent Glitter Colors to choose from. 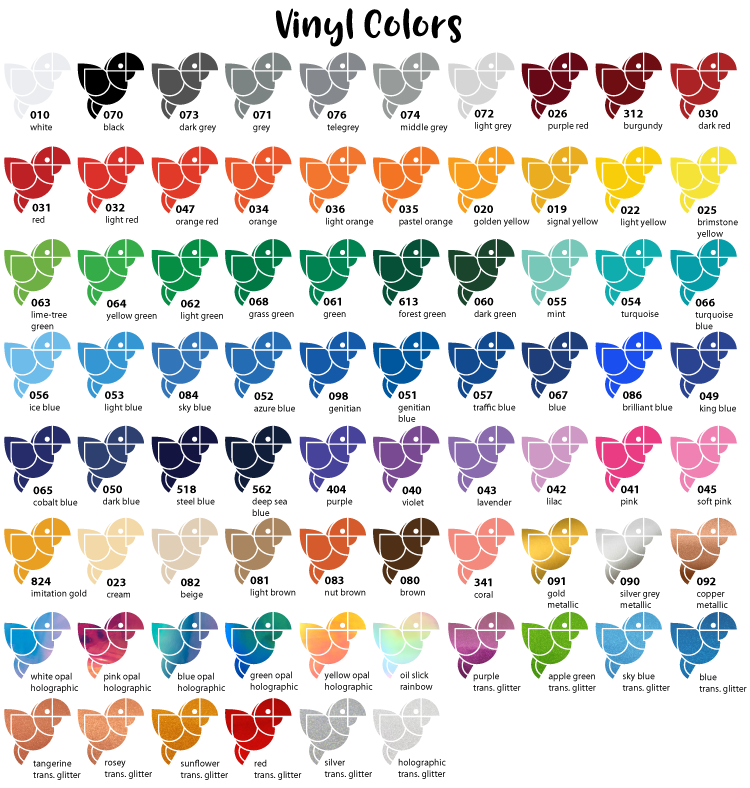 There are 57 Regular and 10 Transparent Glitter Colors to choose from. 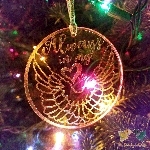 Due to nature of the adhesive, I can only use holographic, metallic, and transparent vinyls on the TOP of the acrylic.